The cryptocurrency market has been experiencing new thinking and new technology, as well as providing a wide range of transactional possibilities for different individuals and organizations. Aside Bitcoins, renowned as the first known cryptocurrency, over 800 cryptocurrencies (referred to generally as altcoins) have emerged. All the altcoins come with different or similar use cases and have been applied to different industries. Anyway, the blockchain technology, on which cryptocurrency is built on, is used to make a substantial impact on the world. 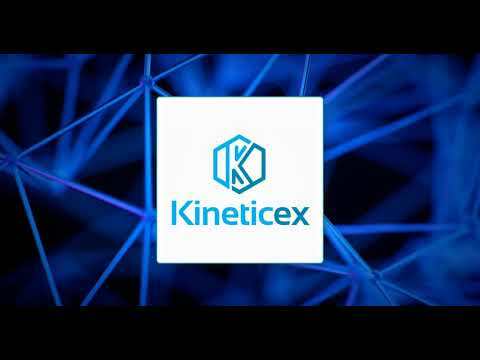 Kinetic Revolution Ltd is introducing the Kineticex -KRC as a step forward in the aspect of new thinking and new technology in the cryptocurrency market. With Kineticex, cryptocurrency enthusiasts can now store and process digital transactions in a more secure and transparent system. Easy-to-use and exceptional, Kineticex is designed on the Ethereum blockchain application in a way that it would definitely make a ground-breaking impact in the cryptocurrency market. It is designed to transform the face of cryptocurrency and make it more appealing to a larger number of people. Kinetic Revolution LTD established and officially announced Kineticex project along with building process of core team. Domain Registration, Identity Safegaurd, Market & Competitors Analysis, Architecture & infrastructure models Research Review for App, Blockchain, Web Portal and Scope. Started work on Web Portal, Whitepaper and Kineticex Network on Ethereum Testnet. Kinetic Revolution LTD. will launch it's exchange. Audit of Kinetic's security by HackerOne. Kinetic official wallets will be available in different languages for Mobiles, Windows and Linux. Listing of coin on world's best global exchanges. Invitation to international premium large scale networks. Expanding the major areas of world: America, Asia, Europe, Australia etc. Launching Merchant Integration platform. Development and Completion of Product MVP Development of Merchant integration platform and API protocols for FIAT and Crypto payments. Enhance app capabilities. Enhanced continued development of Kineticex in all directions.